The main protagonist of Tokyo Ghoul. Ken Kaneki also known as Eye Patch is a memorable character in this anime series. 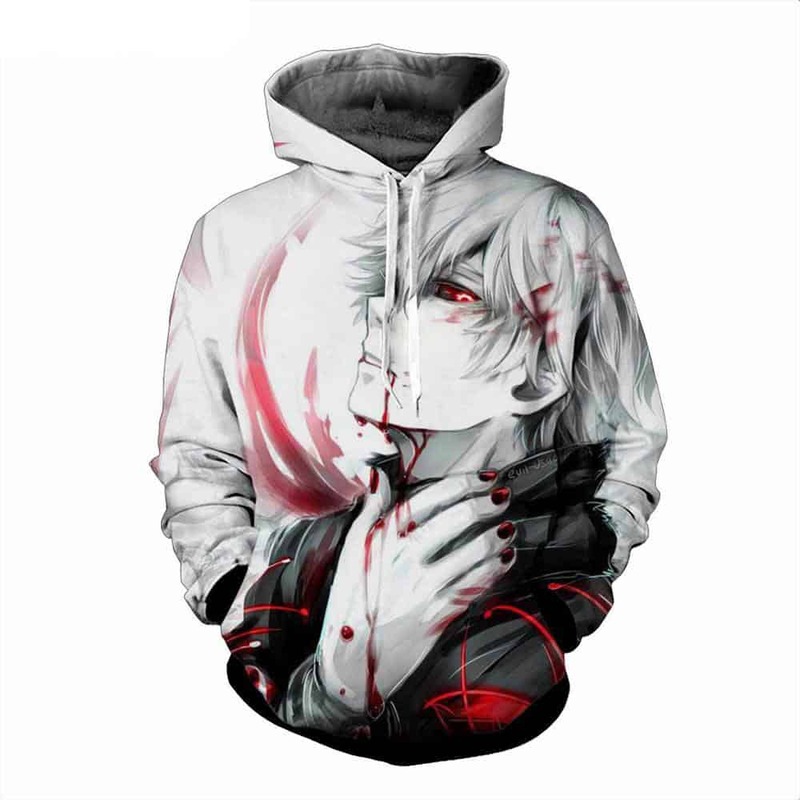 This Ken Kaneki hoodie is a high quality print of him. Comfortable to wear and definitely good to show off to fellow friends and fans. We highly recommend buying this if you are a fan of Tokyo Ghoul. Tag your photos with #kenkaneki on Instagram.